This week we are going to show you how to flash the Omega with new firmware through the Omega’s bootloader. Since this method uses the Omega’s Bootloader, it will be able to flash new firmware to the Omega even if it cannot successfully boot into its OS. This allows you to “de-brick” an Omega that cannot successfully boot! 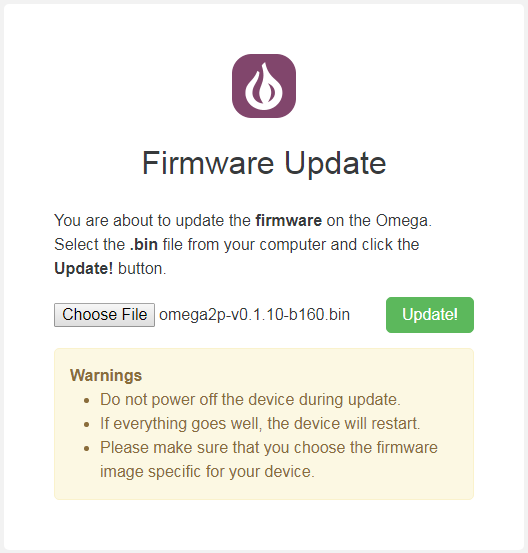 Before we proceed to the actual flashing process, we need to download the firmware we wish to flash on the Omega to your computer. Open your web browser and go to the Onion firmware repo. We will flash firmware v0.1.10 b160, which is the latest at the time of writing. Now, plug your Omega and Ethernet Expansion to the Expansion Dock and connect the Omega to your computer with the ethernet cable. But do not power on the device just yet! Now we need to set up an IP address corresponded to our ethernet-wired Omega’s settings. 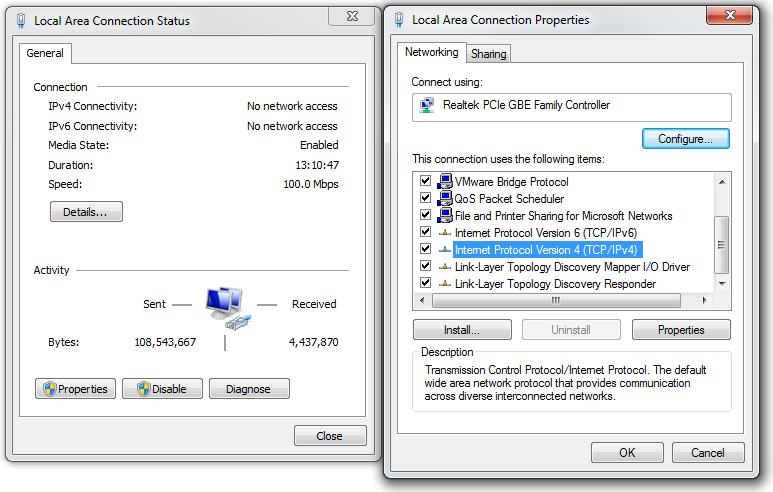 Click on Local Area Connection, under the Undefined Network and select Properties. 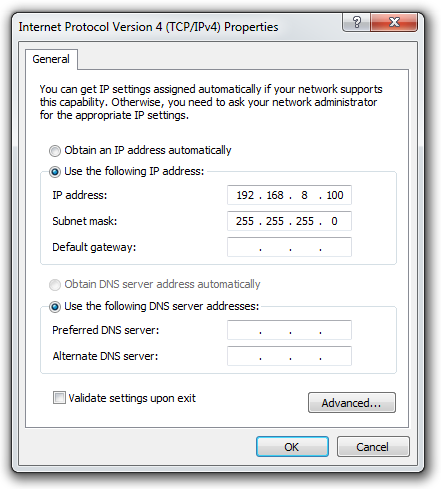 Click Use the following IP address: radio button and manually type in 192.168.8.100. Once you finished, the subnet mask will be created automatically and click Ok. Now you are all set! Ok, now we’re back on track to reflash the Omega. Open your Browser and type 192.168.8.8 in the search window. This the web recovery page! Use it to choose the firmware to be flashed on your Omega. We’ll want to choose the .bin file we downloaded previously and start the flashing process. Sit tight, as it will take several minutes to reflash and reboot your device! Once it’s done, you will see Onion Omega Logo and the version number. Note that it matches the firmware we downloaded: Ω - ware: 0.1.10 b160. And that’s it! We’ve learned how to re-flash, aka de-brick, your Omega’s firmware. 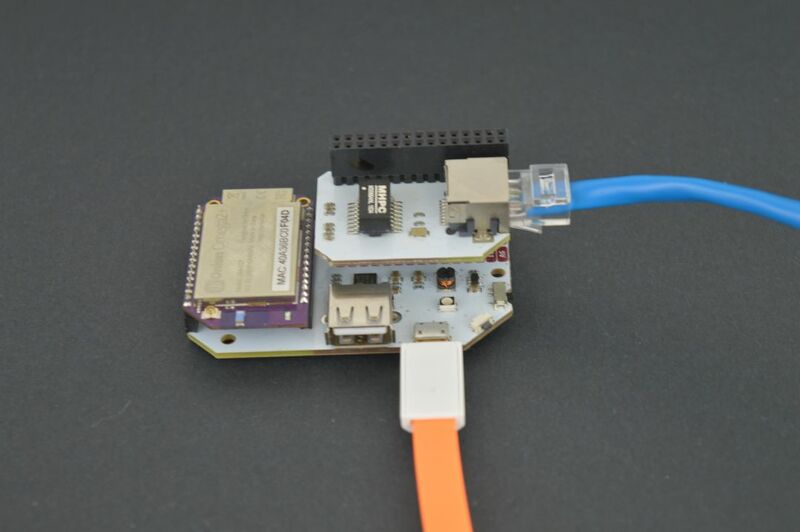 Having an Ethernet Expansion is handy since not only can it allow you to de-brick your Omega, but also enable you to make some pretty cool projects. Check our Docs on how to use the Ethernet Expansion and the Wireless Projects from the Omega2 Project book. P.S. We’re beyond excited to announce that the Omega2 family is now available on SparkFun!